LightintheBox.com Coupons and Deals - April 2019 Save $20 Off! Spend $150 or more and save $20 off. $5 off with code entered during checkout for $60 or more purchase. Mens Pants & Shorts Sale. Up to 85% off during this sale. Items from as low as $0.90. 2019 Ski & Snowboard Sale! Select items are up to 90% off. Chinese New Year up to 70% off. Save with Their Flash Sales! Different items switching up all the time, so check frequently. Hot Sale with up to 60% off the realest wigs. Toys & Games Super Sale. Discounts topping off at 90%. Register and get exclusive deals. Sign up for free and start saving. Lightinthebox came into being on June 2007 by four different people; Quji Guo, Xin Wen, Liang Zhang, Chit Jeremy Chau, and Jun Liu. Before its eventual restructuring on March 2008, the company operated under the name, Light in the box Limited. Now, the company acts as the final holding company and goes by the name, Lightinthebox holding Co. Ltd.
By June 6, 2013, the company was listed on the New York Stock exchange under the symbol “LITB”. The founders placed themselves in the pole position to take advantage of China’s manufacturing and ever-increasing supply chain. Before June 30 of 2013, the company had already racked up $72.2 million in net revenue and had over 1.2 million customers by the second quarter of 2013. 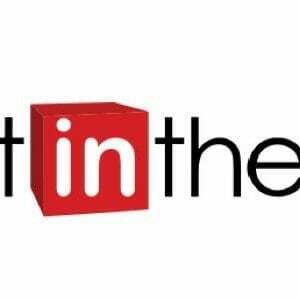 Lightinthebox offers products and services to its millions of customers through their retail websites. Their product categories revolved around three segments: small gadgets, apparel, and home and garden. By March 13, 2013, the company had managed to make over 220,000 product listings available to their teeming customers. They also added 14,000 new product listings every month for the three months that followed. Like most retail companies operate, customers visits their websites, explore all of their product categories and place orders. Payments for these products are equally made online. However, delivery modalities depends largely on the location of the customer and the promotion offers been made by the company or its retail vendors. Products displayed on the Lightinthebox website are either delivered for a fee to destinations around the globe or for free. Applying coupon code on the company’s website is quite simple. All you need to do is to search for the item you wish to buy, select it and proceed to the page where the shopping cart is displayed. You can find this page by clicking the cart logo on the top segment of the website. The page displays all the items you have decided to buy. After making a move to checkout, you can use your coupon code by clicking the ‘Apply Coupon Code’ button to get the designated discount on your purchase. Lightinthebox connects with its many customers via several social media platforms including Facebook, Google, twitter, and instagram. While their social media channels are active and responsive to some reasonable extent, you can get more professional customer service by visiting their affiliate website www.dropinthebox.com or sending your queries to am@dropinthebox.com for further assistance. You can also reach their customer service team by clicking the customer service button at the top part of their website. Other means of contacting them can be accessed by scrolling to the bottom part of their website’s home page and clicking the ‘contact us’ button. If you wish to exchange a product that you have purchased on their website for a different one, here is what to do. Make sure the item you purchased is not personalised. Place a new order for the item you now want. Proceed to return the original order to get back the product cost minus shipping fees. Include the order number for both the original product and the new one you are ordering when returning back to the company. Exchange orders must be received within 30 days from the date the original order was delivered. Cancellation orders received within 24 hours of payment confirmation qualify for a full refund. Cancellation orders received within 1-3 days of payment confirmation will be eligible for partial refund. This includes shipping fees and half of product fee. Orders received after 3 days will be eligible only for a partial refund including shipping cost. Orders already shipped no longer qualify for refund. As long as you are able to provide photographic proof to the customer service team, damaged or incorrect items qualify for a full refund. Delayed shipment also qualifies for cancellation and full refund. Customer care will give you the option of cancelling or keeping the order. Orders delayed for less than 10 days can be cancelled for a full refund or kept for a 30% reimbursement on delivery. Orders delayed for more than 10 days can be cancelled for a full refund, or kept at no cost apart from shipping costs. You can contact the customer service for the most suitable return procedure to follow. However, personalised orders cannot be returned.